Updated 02-21-2019 --- Version 2e is updated for compatibility with the latest game patch 1.50.67 (February 21, 2019) to allow sinks to behave as strangely as they should with the upcoming game pack. Updated - Dec. 16, 2017 - Version 2 now includes two packages (use only one of these in your game!) The new package adds the ability for Sims thare are feeling ill to purchase and take medicine autonomously from a cabinet. *Note* that due to the game's XML tuning for mirrors now being combined into one generic version, all wall mirrors in the game now support the Take Medicine action - the mod is no longer limited to just the cabinet-style mirrors. 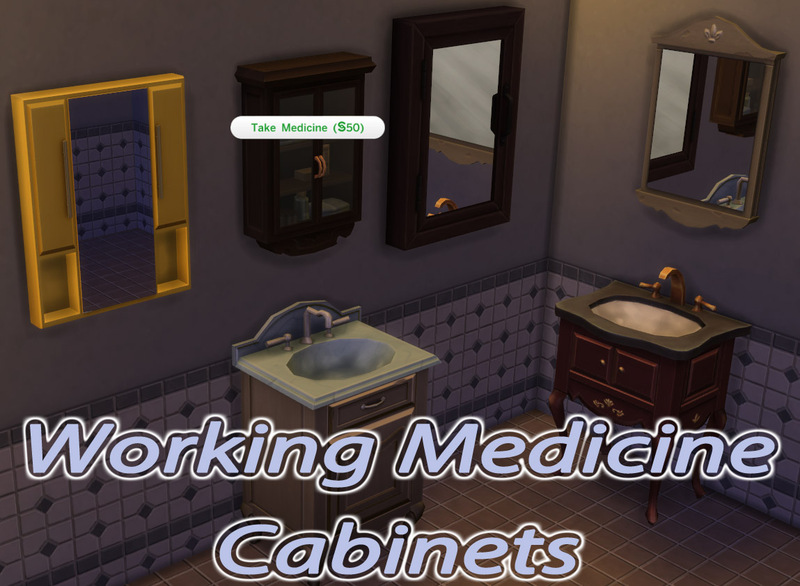 This mod adds a "Take Medicine" interaction to the game's bathroom medicine and sink cabinets. 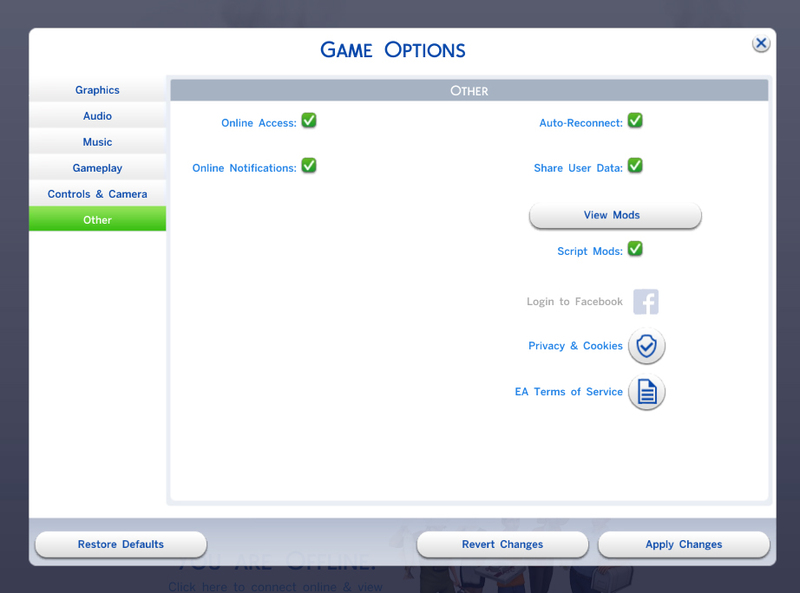 The sim will purchase the medicine for the regular 50 simoleons and take it immediately. For safety reasons, children will be unable to take medicine from the cabinet unless they are actually ill, and the standard timeout for teen and older sims will also prevent any accidental overdoses. All wall mirrors which use the "object_mirror_wall" tuning are now usable. Although the objects are part of the base game, the mod requires the sickness/medicine system from Get To Work. If you don't have Get To Work, the option to purchase medicine will not appear. The mod was written and tested on the latest game patchversion 1.44.77.1020 (June 19, 2018), earlier game versions are not supported. To install, just drop the package file into your mods folder. This mod may cause conflicts with other mods which change these mirrors or cabinets. Due to the wide variety of mods and sources for them, it is unlikely I will be able to help you with such a conflict. OBJD Overrides - In order to add the tuning to the generic wall cabinet, it was necessary to override the OBJD as it was using a generic statue tuning.